Apiarist Rupert Phillips was born in Kenya and at a young age moved with his family to Pietermaritzburg, South Africa. Rupert’s interest in bees started at the age of 8 when he had been keeping an eye on a colony of bees in a tree at his family’s farm in Winterskloof. Rupert’s father, encouraged by his son’s enthusiasm for bees, took Rupert to see an old beekeeper called Vernon Lake who lived nearby. Vernon began teaching Rupert the intricacies of beekeeping. Soon Rupert had his first beehive and bee veil and learnt that the cardboard box would never have tempted that colony from the tree. He had no queen in it! 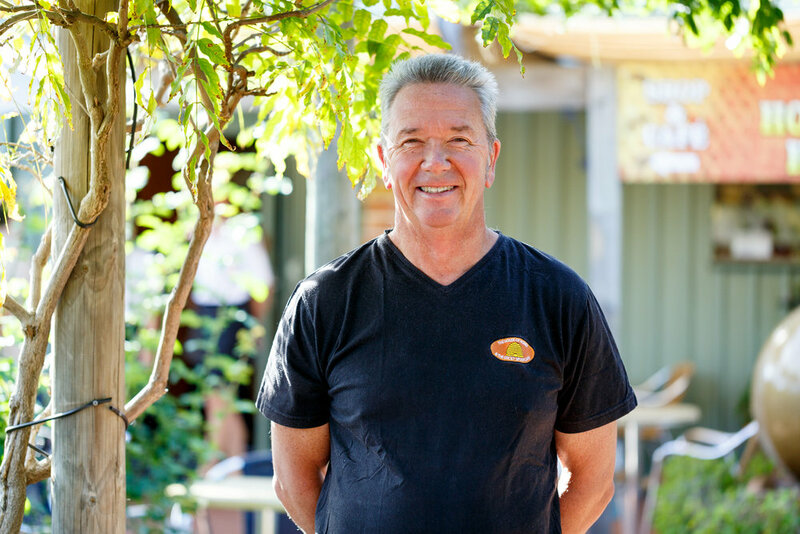 Rupert moved to Australia in 1982, and beekeeping was to become a lifestyle as well as a passion for the Phillips when in 2005 when they returned to the Swan Valley. Rupert had a lifetime dream to develop a dedicated honey shop and café for people to taste and learn about bees, a shop where people could experience and understand the amazing bee. Rupert bought an apiary from Roland Bennett (a beekeeper of two generations) to start his career as a commercial beekeeper. In 2008 the construction of “The House of Honey™ and The Sticky Spoon Café” commenced and opened in 2010. To hear the full conversation click the radio button to the side of the webpage. To read Rupert's full biography, click here.